EXCLUSIVE T&T Gargiulo Trial Coverage HERE. I'm on the 9th floor of the downtown Criminal Justice Center for another hearing in the Michael Gargiulo case. 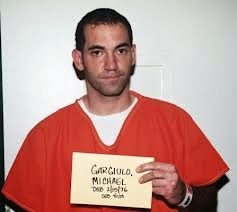 As most of you know, Gargiulo is pro per, meaning he is self representing in a death penalty case. 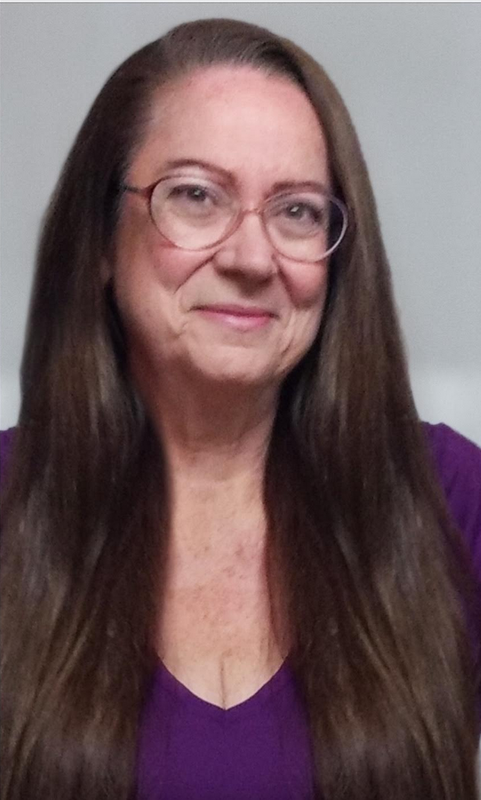 Yes, I know I am behind in getting my trial notes up on Gargiulo's and Cameron Brown's previous hearings, as well as the preliminary hearing of Dawn DaLuise. Investigator Chris Nicely was already here in the hallway when I arrived. Earlier this week, the cold case trial of Douglas Gordon Bradford kicked off in Dept. 103, Judge Curtis Rappe's courtroom. (Larry Altman of the Daily Breeze wrote about the case when the trial started on Monday.) Back in October 2013 at Rick Jackson's Retirement Dinner, I got to speak to DDA John Lewin about when this case might go to trial. At that time, he speculated the case would start sometime in May of this year. He wasn't too far off. I had tried to keep my eye on this case but cases where the defendant is out on bond are a little harder to track. I was hoping I could attend when it started but Mr. Sprocket needed my help on a few jobs earlier this week. If there is time, I will try to drop in on this trial because I've wanted to attend one of DDA Lewin's cases for some time now. On the drive in this morning, I was listening to KFI's Eric Leonard's report about the Donald Sterling civil case, over at the Stanley Mosk Courthouse. (Anything involving the NBA is bigger news than a cold case murder.) It appears that case is on hold until July 23. There's quite a bit of activity down at the other end of the hallway. However, at this end I just saw defense attorney Seymour Amster quickly pass and enter Dept. 106, Judge Fidler's courtroom. Amster is co-counsel on the Lonnie Franklin, Jr., alleged serial killer case in Judge Kennedy's court, Dept. 109. The case Amster might be on this morning in Dept. 106 is a dismemberment case. Dept. 108 is open and there are quite a few people from the general public here. I have not seen DDA Akemon or DDA Dameron in the hallway yet. Attorney's come and go from several of the courtrooms at this end of the hall. Judge Ohta's clerk came out and put a sign on Judge Otha's door that they are dark. She was kind enough to let me know that Gargiulo's hearing will now be held in Dept. 107, Judge Lomeli's courtroom. Judge Lomeli allows reporters to use their laptops so I'm hoping I will be able to use my computer for this hearing. DDA Akemon and Sheriff's Detective arrive and stop at Chris Nicely to chat. Right afterwards, DDA Akemon asked me how Mr. Sprocket was doing. Mr. Sprocket is doing pretty good. He just needs to build his muscle tone back up. Inside Dept. 107, I check with the bailiff to make sure I can use my laptop for the Gargiulo hearing. I can. In overhearing the conversation between DDA Akemon and Nicely, it looks like they will just put this case over. Interestingly, Mark Overland and his daughter, Courtney are in the well of the court. Overland defended former LAPD Detective Stephanie Lazarus. Councilman Richard Alarcon and his wife, Flora Montes De Oca Alarcon, are currently on trial in Judge Lomeli's courtroom on perjury and voter fraud charges. Overland is representing Mrs. Alarcon. Another case is called for a pretrial hearing. In that case, the defense has filed for a 1538 (motion to suppress) hearing and they need to set a date for that. Defense says it will take 2 hours. September 26th next court date. And that’s it for that hearing. DDA Dameron is not here today. It's just Akemon and Chris Nicely. I get to meet the journalist who I saw at the last Gargiulo hearing. It's the fabulous writer, Christine Pelisek who now writes for The Daily Beast. She’s amazing. She wrote several wonderful pieces about Lonnie Franklin, Jr., when she was with The LA Weekly. I was going to drop in on DDA Lewin's case after this hearing but I found out that Dept. 103 is dark today. The Bradford case will resume on Monday. I'll try to come back for that trial a few days next week. It will all depend on whether or not Mr. Sprocket needs my help. Gargiulo is handcuffed to a wheelchair. Two deputies are wheeling him into court via the front entrance. I don't know why Gargiulo is in a wheelchair. Whenever a defendant is brought to court in a chair, they are not brought into court through the regular holding area between the courtrooms. The deputies use other security elevators to bring in the defendants through the front courtroom doors. On the record in the Gargiulo case. Judge Lomeli asks, "I understand that both of you agree to put this over until next Friday?" DDA Akemon tells the court that he hasn't spoken to Gargiulo directly. He tells the court that Gargiulo is under a time waiver. DDA Akemon states they are asking to put the case over to next Friday July 18th. Judge Lomeli tells the parties, "In speaking with Judge Ohta yesterday, it was his intention to set some parameters and deadlines." DDA Akemon states that they have presented (or filed with the court) their outline for a timeline. Garguilo then speaks up and tells the court he has an issue. He's trying to seek medical treatment for an injury he sustained in this courthouse. He would like to see an orthopedic doctor. He tells the court that at the jail, "... They're just trying to overdose me on medication. ... I'm trying to see an orthopedic." Judge Lomeli tells the defendant that he can't write an order for him to see a specialist. "The only person who can do that is another doctor. ... I can refer you to a doctor." Judge Lomeli asks the defendant if he has filled out the proper form for that. Gargiulo says he doesn't have the form. Judge Lomeli tells the defendant, "When my clerk gets here..." he will get the form for him. Judge Lomeli asks him to describe his specific complaint. "I'm seeking medical treatment for an ankle injury and a back injury." Judge Lomeli will set a medical order. And that's it. The next hearing will be on July 18th. My understanding is, after the last pretrial hearing on June 27th, Gargiulo was taken back to the lower floor jail holding area. His ankle chains got caught in the elevator or the space between the floors in the elevator and he either fell or tripped. After Gargiulo is wheeled by me I look directly at him. His head is looking down at his lap, possibly reading some papers. As he leaves, Judge Lomeli addresses his court reporter. "Remind me, ankle and back." She nods her head in reply. I wonder how long Gargiulo will be in a wheelchair due to his ankle and back injury. When a defendant is brought into court in a wheelchair, I'm sure it's more interesting for them. They have the possibility of seeing and interacting with the general public because of the short time they are in the hallway. I head down to the cafeteria to finish my notes then head home. I almost forgot! Gargiulo's head was still bald and his face completely clean shaven. Next scheduled hearing date is 7/18/14.